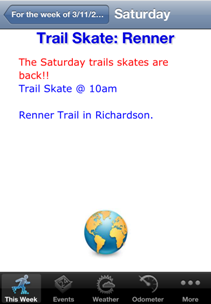 The list of skates going on this week. Details about a skate, like when and where. The starting point of the skate. 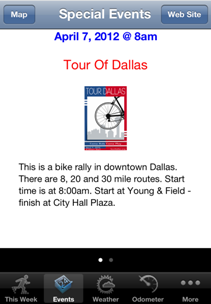 The list of special events. 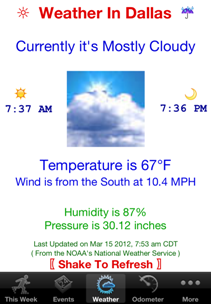 The current weather in Dallas Texas. You can shake to refresh it. 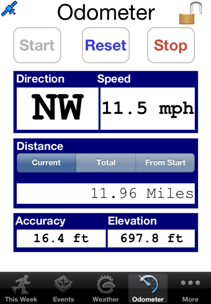 This lets you track distance during a skate. 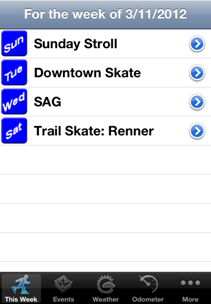 You can Start and Stop tracking your skate. 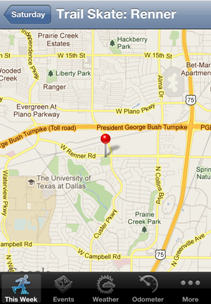 You can also Reset your current distance to 0. 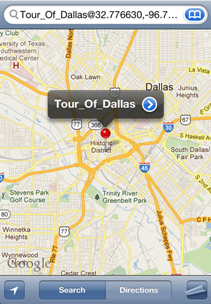 You can tap the lock icon to disable the Stop, Start and Reset buttons, to avoid accidentally hitting a button. 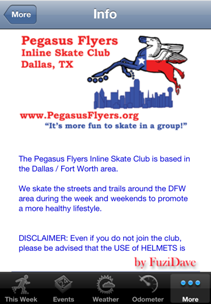 This is where you can find more information about the Pegasus Flyers Inline Skate Club. 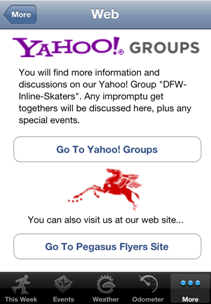 The Yahoo Group is where you'll find club members discussing skating or skate related topics. 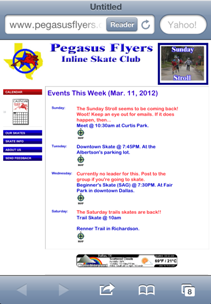 The Pegasus Flyer's web site has more detailed information about the club. 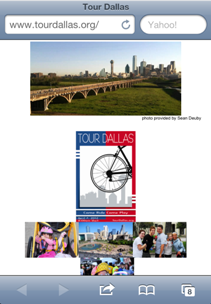 Information page listing the developer and general disclaimer for the club.